Designed for 223 Cal./5.56mm and 308 Cal./7.62mm rifles, 9mm, 40 Cal. And 45 Cal. Handguns and 12 ga. Shotguns. A full blown weapons maintenance system for the range or the arms room. 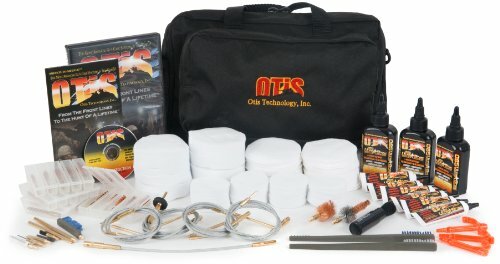 Provides enough memory-flex cables, 100% cotton cleaning patches, bore brushes and solvent/cleaner for an entire group. All items are neatly packed and stored in a duffle bag.